Hi all, my first post here. 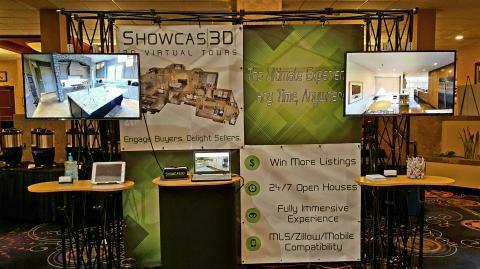 I have a trade show coming up on Thursday that I am going to display my new models to real estate agents. Hopefully it will spread like wildfire here. I purchased a TV for this event that I have figured out how to cast my screen to the TV. Works great. The probable downfall will be my internet connection however. I am betting it will be an average 4g connection which wont be horrible, but as you can imagine, many there will be using their phones as well. I am wondering if any have figured out a way to walk around the models while being offline. Secondly, any tradeshow tips that you would find helpful are always welcome. I am going to offer a $50 off if they buy that day, and offer a drawing at the end for one free model. I don't think it is wise to take the camera with me, as i am afraid of liabilities, and there really isn't much it would 'do' while there. My apologies if this was somewhere else in the forum, but i did not see it anywhere. The T.V. is a great choice. We do that and run promotional videos for our service. I would take the camera as well. It always helps to show people it is a special camera. I have a sell sheet listing all the benefits of matterport to realtors with a B-card stapled to it to hand out. There is a developers app. (if you can get it) that eliminates the need for internet! This app is brilliant and made us look like rock starts at our last trade show. 3-D showcase, you first have to download test flight on the iPad and be invited by a developer to test the software. it is worth it and the software works perfectly allowing you to download models from "your" matterport cloud. They then live on your iPad with no delay in use. We do similar, but also do two scans at booth and have it processed so they can see first hand what our booth looks like and what the model looks like. Matterport says they do not charge for test scans 3 or less. This way people see the camera and basic scan along with demo scans. Can you explain how you put the MP videos on loop from a USB drive? What format were the videos in and how did the TV know to loop them? I found a website infinitelooper.com that will allow me to play the same video over and over, but that's only one video not a series of them so I'd be curious to learn your approach. @Queen_City_3D I used a SanDisk USB drive and uploaded the 10 or so videos to a folder. when I switch the input to the folder on the Samsung TV, I have to go into the settings and change that to either repeat one video or all of them. the only downside is since their are 10 videos, each time one starts, it shows a title menu on the screen with rewind, play, fast forward, title, etc. At a well attend event, how many appointments usually come from the event?